Visiting Gilbert, Arizona, you'd never know you're in one of the fastest-growing communities in the nation. In the last decade and a half, Gilbert has grown at a pace unparalleled by most communities in the United States. As Gilbert has grown, the community has recognized the need to develop a strong, diverse economy while preserving its highly desirable quality of life. In Gilbert there are always fun things to do, the community is active, and the businesses are thriving. Pick a hotel in Gilbert and Chandler to get close to the action. Here are some of the top picks for things to do in Gilbert. At the Riparian Preserve, more than 200 species of birds can be seen throughout the year. There are 4.5 miles of walking trails, and you can fish at the recreation lake at Water Ranch. This unique area was designed to utilize recycled water to create community wetland wildlife sanctuaries for recreation, education, and research. The Riparian Institute also offers programs and classes to the public, such as birds walks, kids camps and programs, and public viewings at the new observatory. No matter what your level of golf expertise, you, your family, and friends can have a great time playing target golf at Topgolf. It's about food and fun—and it is climate controlled. You don't need your own equipment, and all ages can play. Stop by SanTan Village, and shop 'til you drop at more than 100 stores of all sizes and styles, as well as salons, restaurants, movies, and more. It is an outdoor shopping destination. In 2011, the Town of Gilbert erected a permanent, outdoor memorial to the victims of 9-11. You can visit during the annual 9-11 ceremony or any other day of the year. Located on a 127-acre site, the Southeast Regional Library not only offers books, videos, CDs, and access to the web, but visitors have spectacular views of the Riparian Preserve at Water Ranch. An officially recognized and established historic area, the Heritage District marks the original Gilbert townsite and is still the historic center of the community. The Heritage District includes one-of-a-kind restaurants, shops, and offices. The Hale Centre Theatre has a legendary heritage as the longest continuously running, privately owned and operated theater company in America. You can found it now in the Heritage District in downtown Gilbert, presenting a variety of theatrical performances. The Higley Center for the Performing Arts features plays, concerts, and entertainment by local theatre companies as well as nationally and internationally known artists. It also offers special daytime performances and ticket prices for schools. The Gilbert Town Square, an urban village created by Triple Five Arizona Development, features a 14-screen megaplex theater, retail shops, and restaurants. November marks Gilbert Days, which is a unique, three-day celebration that marks the paving of Gilbert Road through downtown. Gilbert Days provides fun-filled activities for the entire family including the Gilbert Days 5K Run and 1 Mile Fun Run, a parade through downtown, IPRA Rodeo action, and carnival. The town's history has been captured in the Gilbert Historical Society Museum. It is located in a building that was once the original Town School at 10 S. Gilbert Road. Gilbert's multi-use trail system offers 135 miles of enjoyment for outdoor enthusiasts. There are 40 miles of equestrian trails, 54 miles of marked bike trails, three miles of one-side only marked bike trails, 16 miles of unmarked bike trails, 17 miles of multi-use trails along the canals, and five miles of non-canal trails. From the novice in-line skater to the extreme skateboarder, Gilbert's 22,000 square-foot skate park offers features that accommodate all skill levels. The skate park is located in Freestone Park and offers free, non-supervised skating to visitors. Gilbert's flagship park truly is a wonderful place to visit and play. Freestone Park features ball fields, sports courts, a train, batting cage, concession, playgrounds, and picnic ramadas for visitors to enjoy. 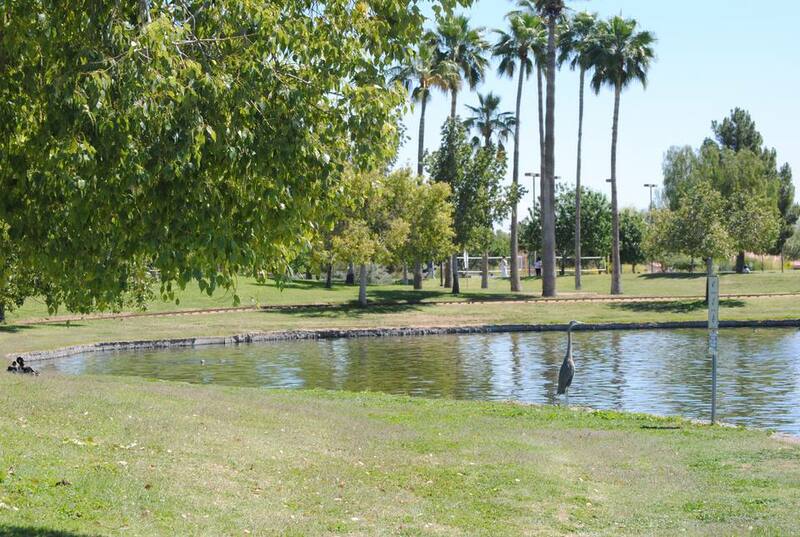 Located at the park you will also find an amphitheater, Gilbert's Skate Park, and the Freestone Recreation Center. Gilbert has become an East Valley destination for unique and exciting dining options. Many of the establishments are locally owned and operated. East Valley is also a destination for unique and exciting dining options. Many of the establishments there are locally owned and operated. All summer long you'll find families staying cool at the pop-jet fountain in Heritage Square. It's found under the Gilbert Water Tower and across the street from the Hale Centre Theatre. Best of all: it's free. Gilbert also has four public pools. Gilbert has designated areas where you can let your dog play off-leash. One of the areas, Cosmo Dog Park, is unique in that there is a lake where dogs can swim. Are you interested in learning how Gilbert and neighboring communities support local agriculture? Visit the East Valley to learn about agritourism and ecotourism.